Over the years I've tried all sorts of 'helps' to hold the work secure as that seems to be one of the secrets to getting a good joint quickly and cleanly. A couple of years ago I got one of those 'helping hands' gizmos which was an improvement, but still didn't always either hold the work securely enough or get it at just the right angle for easy access with the iron. 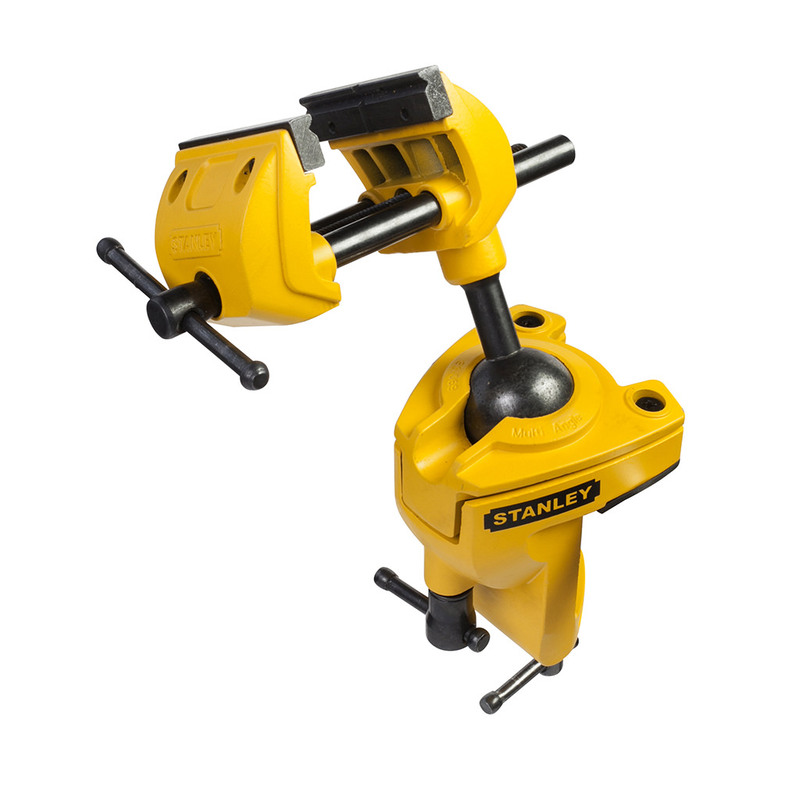 A few months ago I came across the Stanley Multi Angle Hobby Vice - yours for about £15-£20. The huge advantage is not only can the work be held very securely, but its angle can be adjusted so offering up the solder and the iron becomes very simple and straightforward. Soldering is no longer a 'will it/won't it' work exercise, but has come a simple task which I can achieve quickly with no stress, no burnt fingers and connectors that work first time - and stay working! Not seen that before. Clever. Thanks for sharing that. I’ve used a two handed crocodile clip device from Maplins (RIP) to do this. Wouldn’t be much use for the bigger, heavier connectors though. How big is it please Mike? It's hard to tell from the pic. Either dimensions or weight - i'm a little bit worried it would be too heavy for my collapsible table. Edit - ignore me, found it now. 1.5kg if anyone is wondering. blinddrew wrote: How big is it please Mike? It's hard to tell from the pic. Either dimensions or weight - i'm a little bit worried it would be too heavy for my collapsible table. I was using it this afternoon on the 'flap' of a kitchen table and all was well. fastened to the same flap. I've seen some complaints from people who tried to use it as a full-on woodworking vice. I don't think the ball joint would take the strain of (say) planing oak, but for 'our' type of stuff it seems fine. MOF wrote: I’ve used a two handed crocodile clip device from Maplins (RIP) to do this. Wouldn’t be much use for the bigger, heavier connectors though. That was the problem I had. The mini croc-clips simply weren't 'beefy' enough to hold an XLR shell firm when seeking to thread/position wire cores. I picked up one of the helping-hands type things recently, but the main problem I had was eyesight. Electronics soldering seems ridiculously small. This looks useful for more robust work, but for me it would be like doing embroidery with boxing gloves. I use my cheapo Behringer cable tester for holding plugs for soldering, it's not perfect but maybe I should make a dummy socket board for the job. OTOH, lamping the Berry thing into that vice would work perfectly (TBF the Berry cable tester actually does work very well for it's intended purpose too). 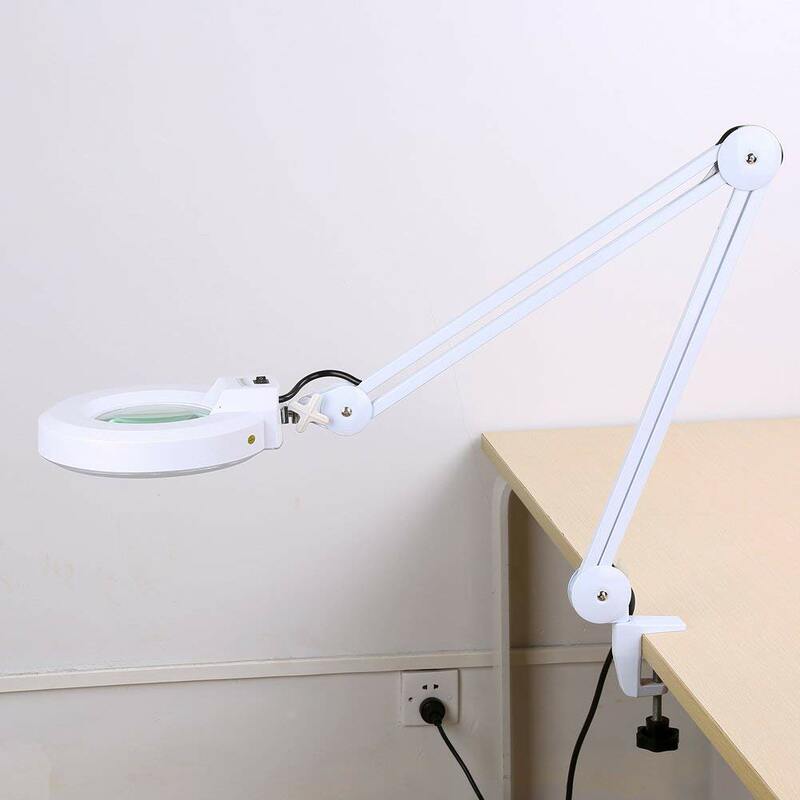 BJG145 wrote: I picked up one of the helping-hands type things recently, but the main problem I had was eyesight. Electronics soldering seems ridiculously small. This looks useful for more robust work, but for me it would be like doing embroidery with boxing gloves. The vice isn't that big... jaws probably 75mm long... and it's about holding the work very steady so that (in my case) now slightly trembly hands can bring joint, solder and iron together more easily. I agree about eyesight... That's why I bought the LED-illuminated magnifier at the same time. Using the vice and magnifier together has made soldering life a whole lot easier. Sam Spoons wrote: I use my cheapo Behringer cable tester for holding plugs for soldering, it's not perfect but maybe I should make a dummy socket board for the job. OTOH, lamping the Berry thing into that vice would work perfectly (TBF the Berry cable tester actually does work very well for it's intended purpose too). ... and I agree about the tester itself. Really useful gizmo and the tone generator is also great. Yes, it does act as a heatsink, but you'd see damage to the plug you're working on before the one in the tester suffers. I tend to use either a StudioSpares universal cable tester, or an ART DTI box to hold plugs steady while I'm soldering cables. Never had an issue with it. The worst that could happen is that you'd melt the solder on the cable tester plug and an internal wire could ping off (that wouldn't be an issue if the internal wiring is via a PCB of course)... but you'd have to keep the iron on so long to do that you'd be guaranteed to wreck the plug you're trying to work on anyway! nice! I usually kludge together an assortment of pliers to hold tricky bits more or less in place whilst inhaling solder rosin, squinting feverishly and hoping I don't get a cold solder. ahhh - the lighted magnifier. A brilliant foil for any company who thinks I can read a font smaller than 10. What the heck are those companies thinking? In the mid 1970s I made up a wooden block with holes drilled, and cutouts made to fit every single audio/video plug I could lay my hands on. Envious eyes were frequently cast over it, and I even had engineers wanting to buy it - and they're usually a pretty tight lot. It survived many kidnap attempts up to the late 1980s, then somehow I managed to forget it and left it on the bench when I went home. Needless to say it wasn't there the following morning, and nobody had seen it. It was the only time anyone at work has ever seen me really angry. I left the place not much later. Got one of these permanently clamped to my bench, it's pretty handy and seems sturdy enough for general purpose audio gear faffery. Mine came with rubber sleeves for the clamp as well, which are good for holding things like pot shafts while cutting them down etc.